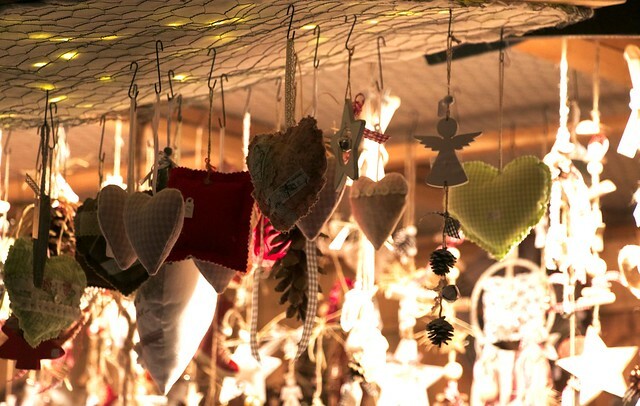 Visiting the Alsatian Christmas markets has long been on my list, but the frigid temperatures and my fear of large crowds instilled in me after the string of terrorist attacks in France have deterred me from going. 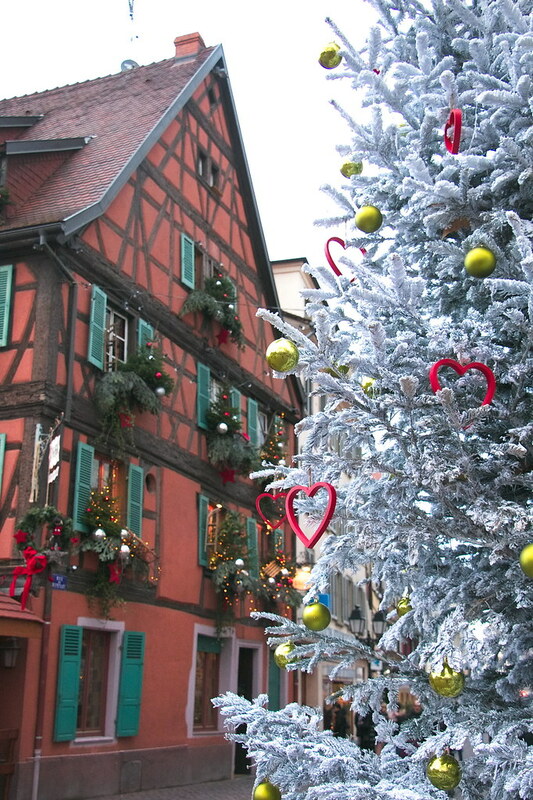 Alsace will always, however, be cold in December and crowds will always flock to these Christmas markets as they have been since the Middle Ages. So no better time than now, right? 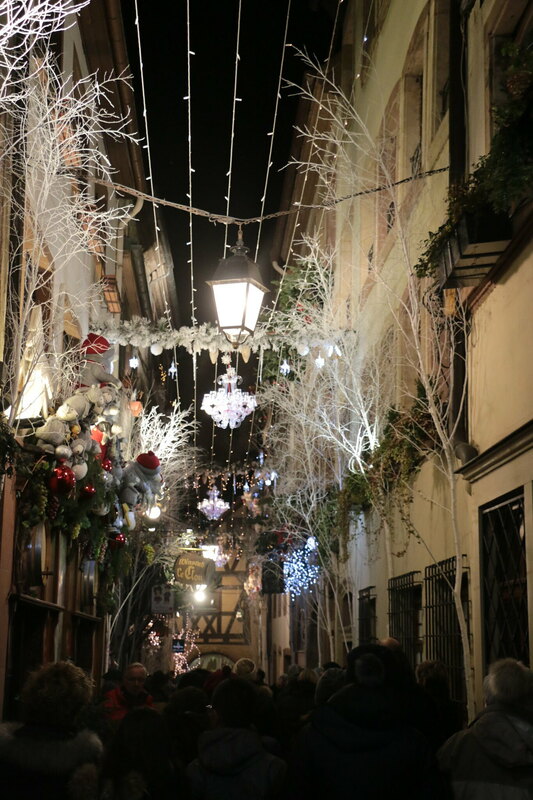 The week before Christmas, I spent the weekend visiting three villages and Strasbourg, which is home to the first Christmas market in France. 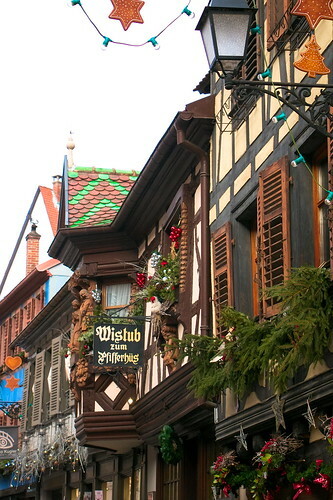 During my first trip to Alsace a few years ago, I had stayed at an Alsatian woman’s bed and breakfast in Colmar. She comes from a long line of Alsatians, whose lineage can be traced back several hundred years. 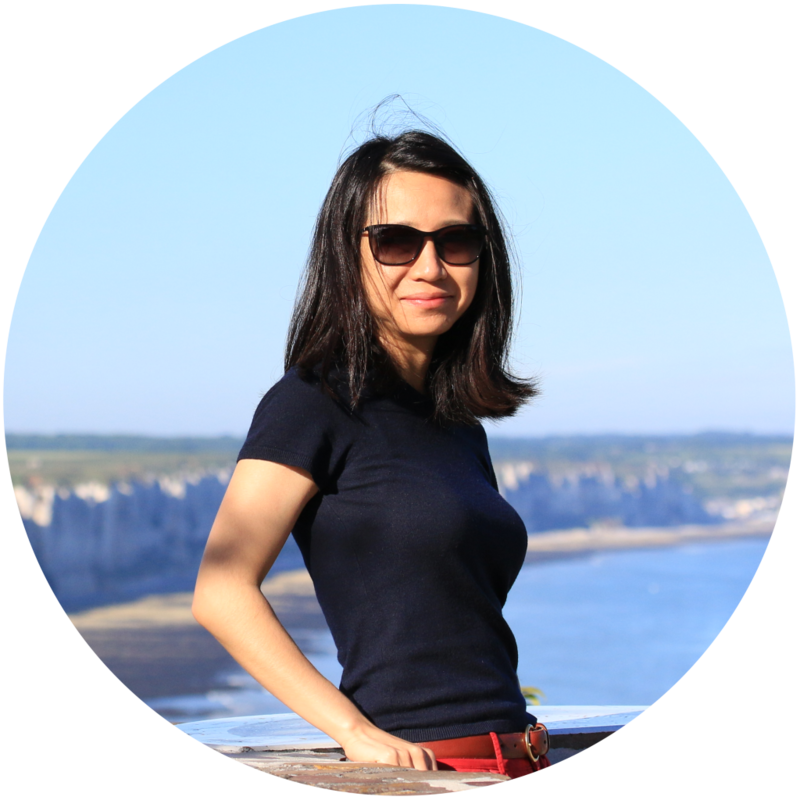 Fiercely proud of her region’s cultural heritage, she freely shared her abundant knowledge about it with us. 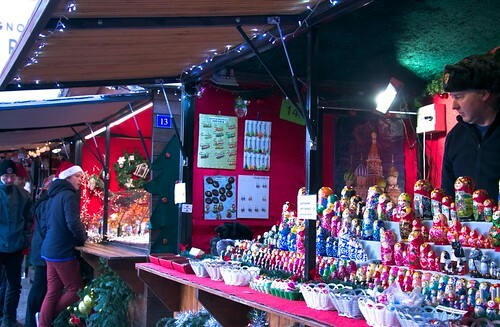 She had highly recommended coming back during the holidays to experience the unique Alsatian Christmas magic and the region’s renowned Christmas markets. 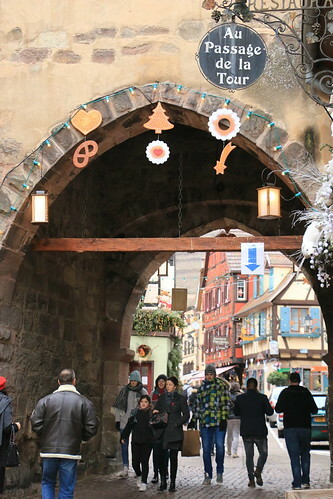 Particularly, Colmar’s markets were her favorites because they have retained their authenticity and are less commercialized than those of the other cities and villages. 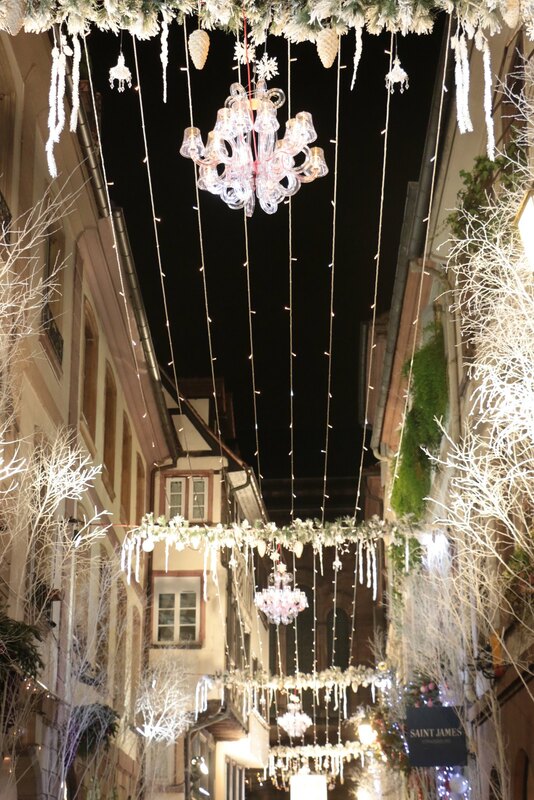 As soon as you set foot into the village, there’s no escaping the effervescent Christmas magic. 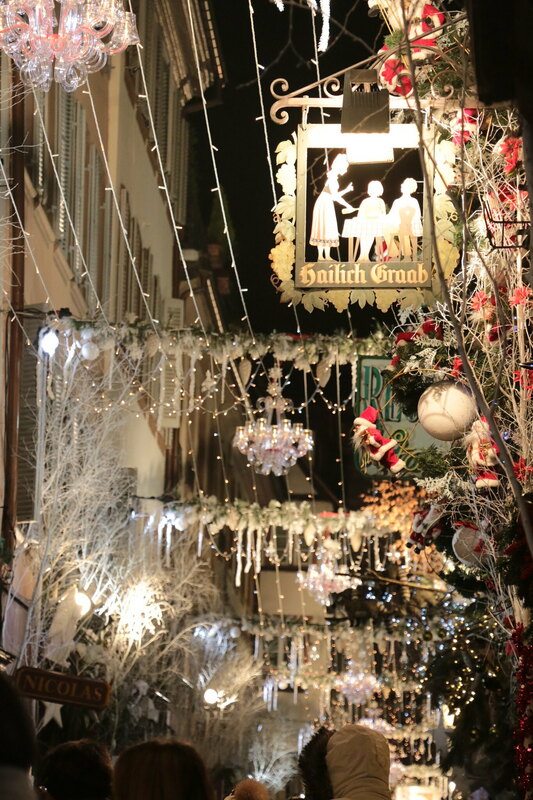 They bring the holiday cheer by adorning every inch of their streets with the most enchanting decorations and lights. 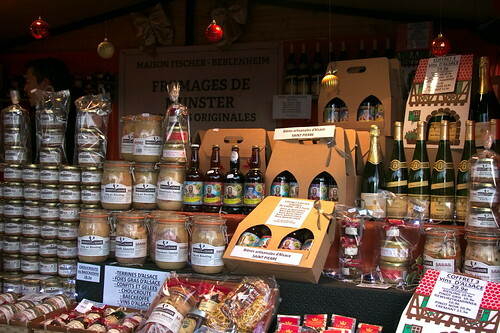 The spicy aroma of warm mulled wine permeates the air, while chalets occupied by artisan food makers share their creations, including gingerbread, Munster cheese, dried sausage, foie gras, tartiflette, choucroute garnie (sauerkraut garnished with meats), manala (a regional brioche shaped like a gingerbread man), breztels, etc. 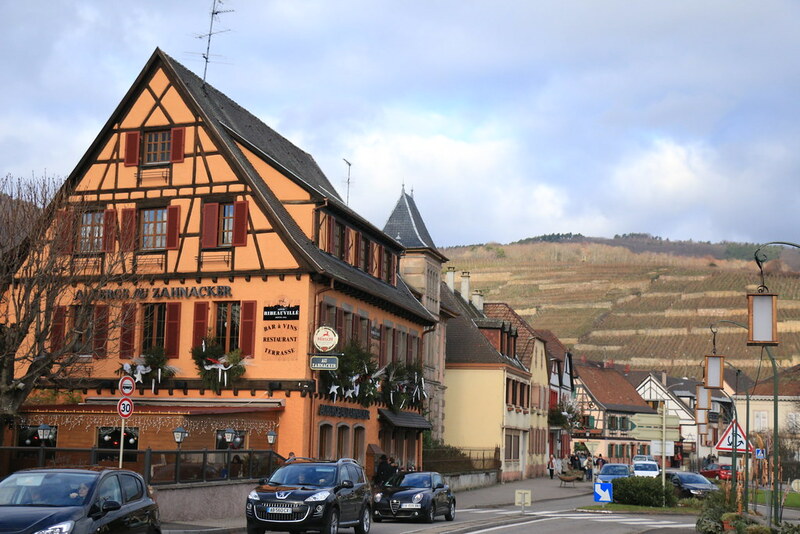 The next morning, I headed north to Riquewihr, a neighboring village that is only a 15-20 minute car ride away from Colmar. 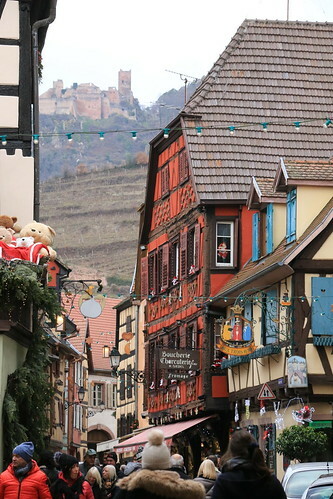 Though much smaller than Colmar, this village is as equally as charming. As I strolled through the cobblestone streets, I met a local cheesemonger who offered generous tastings of several varieties of his Munster cheese. I was so smitten with the different flavor profiles of each one that I stocked up on several of them — Munster ripened in beer, raw-milk Munster, and Munster stuffed with truffles. I also met a couple specializing in artisanal gingerbread. Of all that I tasted during this trip, their loaves were the most exquisite. 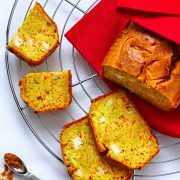 Their loaves flavored with rum and candied oranges were especially memorable not only for its taste, but also for its light, genoise-like texture. 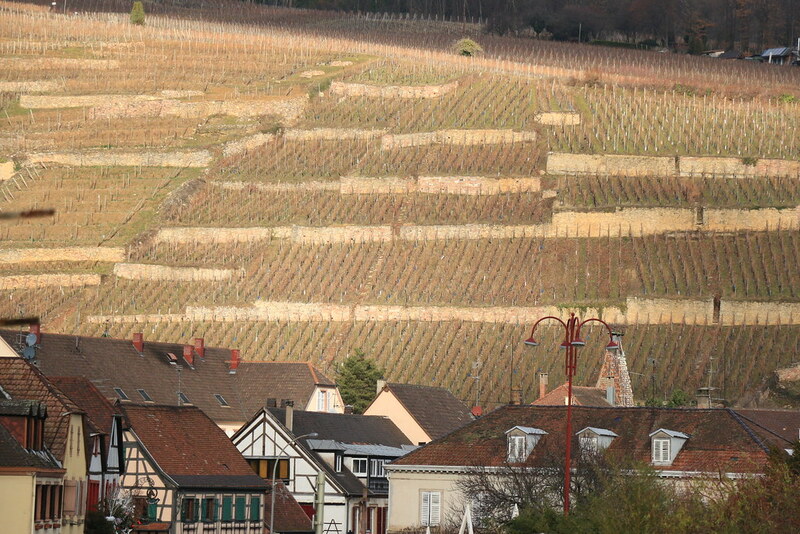 Continuing on to my next destination, Ribeauvillé is only a stone’s throw away from Riquewihr. This tiny village of just over 5000 inhabitants is much less touristic, but is among the most endearing in the region. Surrounded by three castles, vestiges of its medieval past are still visible along its one main street. 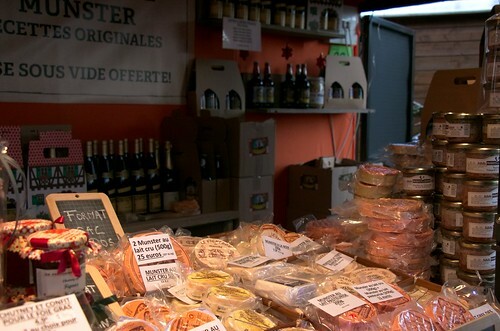 I came across a sausage and ham maker who brings his products into town every week from the Vosges mountains. 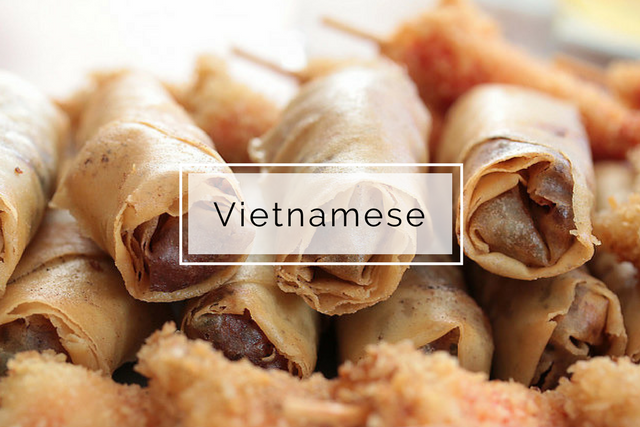 I’m not a huge meat-eater, but the quality and taste of his artisanally fabricated meat products were so exceptional that I walked away with a couple kilos of sausage and ham! I spent the last leg of this trip in Strasbourg, which was more breathtakingly beautiful than I could have imagined. 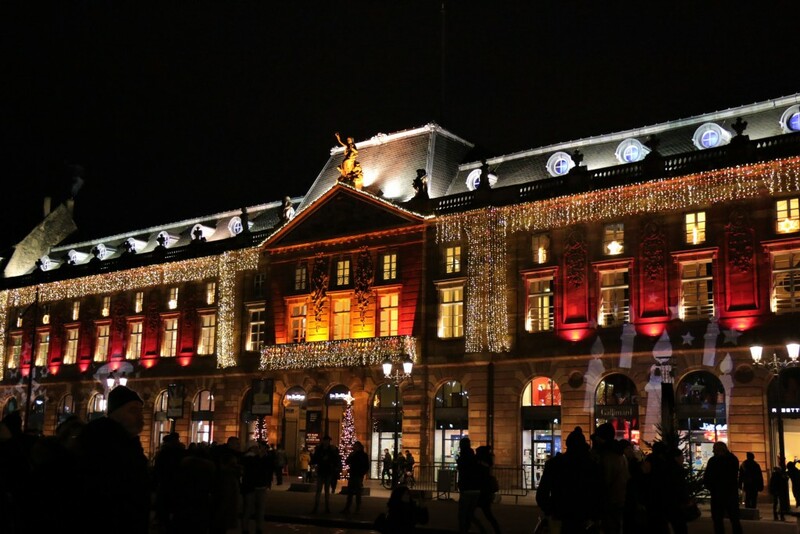 I arrived just moments before sunset as the Christmas lights started to illuminate the city. 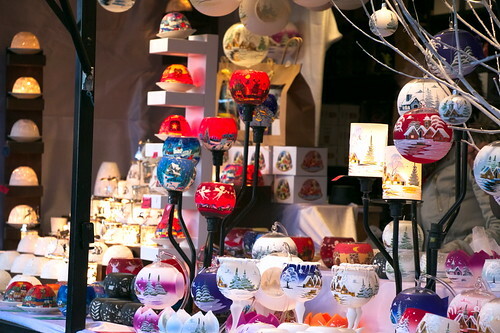 Although dubbed the Christmas capital of France, my expectations of the markets weren’t high because everyone says how commercialized the vendors have become in Strasbourg. True, none of the chalets that I saw were selling artisanal products. 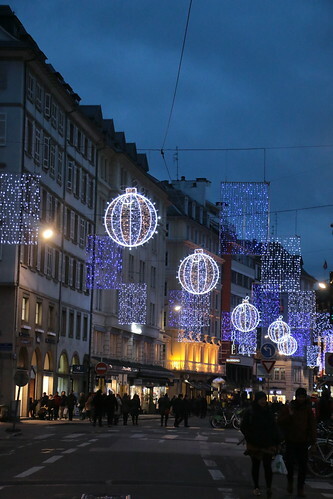 I was, however, blown away by the city’s glorious decorations. Being the amateur picture taker that I am, none of my photos come even close to capturing the magnificent ambience that envelopes the city during this time of year. 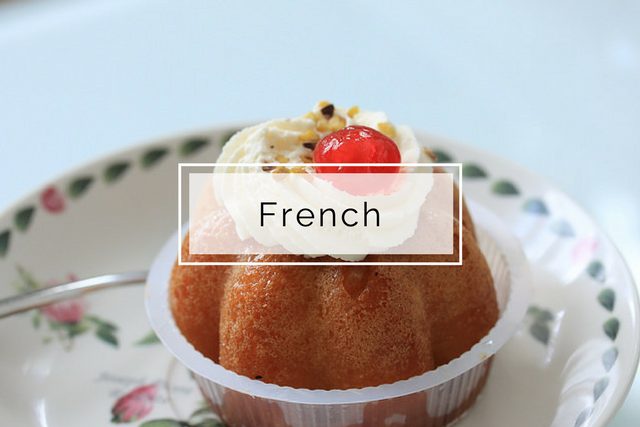 Every corner I turned, I was that slack-jawed tourist, completely dumbfounded with awe! My brief, yet indelible trip came to a satiating end with dinner at the historic Maison Kammerzell, which has been serving traditional Alsatian fare since 1427. The house speciality choucroute aux trois poissons, which is an assortment of three fish served over a bed of sauerkraut cooked in champagne, was absolutely sublime and exceeded my expectations. 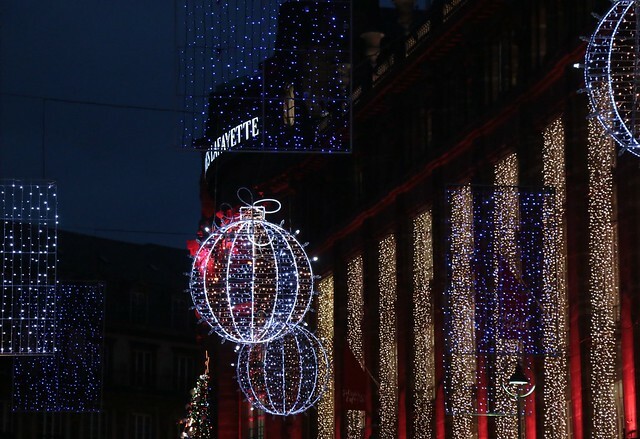 The Christmas decorations in Alsace were a feast for the eyes and the warm holiday festivities filled me with enough cheer to carry me through to the end of the year. 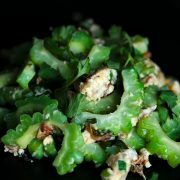 Wishing everyone a joyous holiday filled with good eats and merriment!